Over the past eight years, under the leadership of Artistic Director Victoria Morgan, Cincinnati Ballet has experienced tremendous growth and critical success. 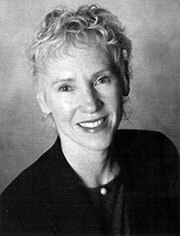 From the moment she arrived in 1997, Ms. Morgan took immediate steps to raise the standard of excellence by attracting celebrated talent to Cincinnati Ballet from the international dance world, including outstanding dancers, choreographers and ballet masters. She has broadened the company's horizons and exposure by presenting new programming such as the Come Together Festival and the Ballet Russe de Monte Carlo Festival which was in collaboration with the Cincinnati Art Museum and received national recognition in the New York Times as one of the top ten dance events in 2002. She also enhanced Cincinnati Ballet's repertoire by personally creating world premieres, such as Romeo and Juliet, A Midsummer Night's Dream, Princess and the Pea, Beyond Innocence, and Cinderella to name a few. Last November, the company toured to Anchorage, and will be presenting The Nutcracker, in Cleveland for a first time, introducing Cincinnati Ballet to new audiences. August of 2003 marked the company's first appearance at the Vail International Dance Festival. With support from primary board members and major donors, Ms. Morgan helped to lay the foundation for the future with initiatives such as the 21st Century Campaign, resulting in two new satellite locations for the Otto M. Budig Academy of Cincinnati Ballet, endowment of Frisch's The Nutcracker. Ms. Morgan is on the Board of Dance Magazine, has served on the evaluations panel for the NEA, and was presiding judge for the New York International Competition in 2005. Ms. Morgan came to Cincinnati Ballet after nearly a decade as resident choreographer for the San Francisco Opera. Prior to that, she was a principal dancer for San Francisco Ballet (1978-1987) and Ballet West (1969-1978). Her repertoire included leading rotes in numerous classical ballets such as Giselle, Swan Lake, Cinderella and many ballets by George Balanchine. Ms. Morgan also danced in modem and contemporary ballets by William Forsythe, James Kudelka and Val Caniparoli among others, in addition, Ms. Morgan performed lead roles for television and film and her Choreography was featured in the PBS documentary, The Creation of O. M. O.
Ms. Morgan iaunched her choreographic career in 1985 and has created more than 40 works for 20 opera and ballet companies across the United States including San Francisco Ballet, Utah Ballet, Pacific Northwest Ballet, and New York City Opera. Regionally, she choreographed Cincinnati Opera's Samson and Delila, Aida, Faust, and La Traviata. Ms. Morgan produced one of the first ballet CD-ROM's, featuring an audio and video description of more than 700 ballet steps and positions.